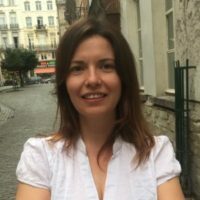 Aleksandra is the head of Natural Language Processing at Faktion, and applied AI services provider with some of the biggest and most innovative companies in the world among their clients. 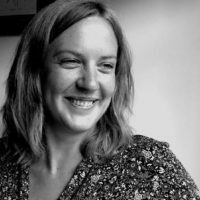 As a theoretical linguist turned data scientist, she now takes care of all of Faktion’s language-related projects. Half French/English living in Finland for 15 years, climber, Thai boxer, amateur photograph, all this wrapped together in a Technical Evangelist working for AWS and passionate about everything cloud. Adrian has over 15 years of experience in the IT industry, having worked as a software and system engineer, backend, web and mobile developer and part of DevOps teams where his focus has been on cloud infrastructure and site reliability, writing application software, deploying servers and managing large-scale architectures. 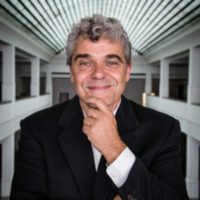 Luc Cavelier joined Contextor in October 2014 as Vice President in charge of the international development of the company. Luc is in charge of the strategic development of the company through an indirect model around the World. 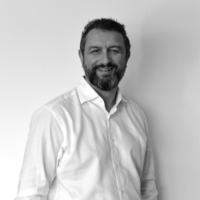 Before Joining Contextor, Luc has been appointed for more than 25 years in several company as Vice President Business development as well as Vice President in charge of Multinational around the globe. 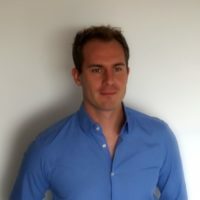 Having worked in over 10 countries including the Global Innovation Center for AI in Dublin where he led the creation of a patented cloud-based AI platform for intelligent Finance, Christophe has great expertise in Artificial Intelligent, Text Mining, Machine Learning Cloud Platforms. 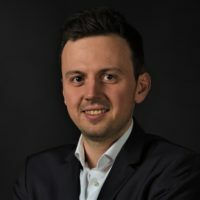 As Head of AI-Digital Transformation at one of the biggest insurance company in Europe, Christophe’s role is to evolve at the intersection of the scientific approach of AI and the reality of the business needs to deliver tangible results. 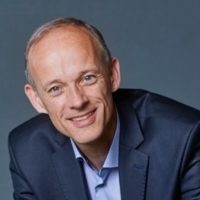 Laurent Boes has been with IBM for the past 18 years and has a strong background in business software. For many years he focused specifically on AI business development and evangelising. During the past 12 months, Laurent has been active in the financial services market in Belgium. He is a seasoned speaker on the AI topic and others. 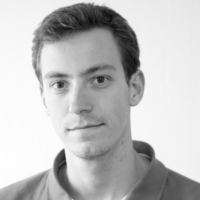 Philippe is the founder and CEO of DigitYser, the clubhouse of the tech communities in Brussels. The data science community that he founded in 2014 is currently on its 5th season of AI& data science meetups in Liège, Brussels, Leuven, Ghent, Antwerp. In June 2018 Philippe organised the diSummit for the 4th time, the theme was AI demystified and 800 participants could benefit from the insights of more than 50 speakers. Philippe launched the data science bootcamp that is currently in its 3rd edition. He is currently involved with 2 main projects one is a data4good project called HIVHACK.org that will lead to a hackathon on 23 November and the other is the #dataforbetterhealth project from Minister Maggie Deblock. Mona Caroline is an international attorney and integrity director advising businesses and governments worldwide through GOVERN&LAW, the firm she founded. She is an expert in Anti-corruption, Competition/Antitrust, Data Protection, Ethics, Governance and International Cooperation. She builds compliance & integrity strategies and contributes to law reforms as tools for sustainable growth and responsible innovation. Driven by the relationship between government, business conduct and their socioeconomic impact, Mona shared her earlier career between the private and public sectors: Legal & Integrity Director of Unilever Europe; Legal Expert to the O.E.C.D. and its Governments; Attorney at international law firms Cleary Gottlieb (Brussels) and Wachtell Lipton (New York). Mona is a ’30 Competition Women’ Laureate, a certified D.P.O. and board member of the Altius Society at Oxford. 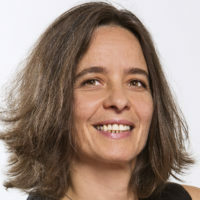 In academia, she is the co-founder of the Sorbonne Compliance program, a lecturer at Sciences Po Paris, the Brussels School of Competition and Solvay School, and a guest speaker around the world on innovation and regulation. 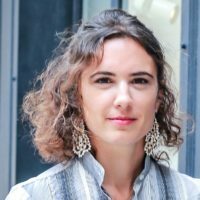 Mona holds law degrees as a Fulbright scholar from Columbia University and from Louvain and Ghent Law Schools. She is a member of the Brussels and New York bar. Frank Vanden Berghen owns a PhD in Applied-Mathematics in the field of Machine learning and Artificial Intelligence. Since more than 20 years, Frank is creating predictive models, first as a researcher, after as a consultant. As a consultant, Frank used practically all tools available on the market and felt frustrated because of the limitations of these tools. The question was: How is it possible that the best tools available at that time to do advanced analytics where tools developed by hobbyist during their free time in their garage? So, in 2007, Frank decided to create the most advanced tool for AI & predictive analytics on the planet. TIMi was born. Since now more than 10 years, Frank and his team are pushing the boundaries of what’s possible to do with a computer, to boldly go where not dataminer has gone before. Using his tool, Frank is a recurrent top winner at Kaggle and KDD cups. Yves Peirsman is the founder and Natural Language Processing expert at NLP Town. 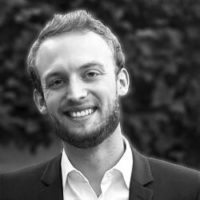 Yves started his career as a PhD student at the University of Leuven and a post-doctoral researcher at Stanford University. 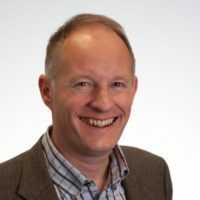 Since he made the move from academia to industry, he has gained extensive experience in consultancy and software development for NLP projects in Belgium and abroad. KAPTAIN is the end-to-end document processing solution that combines the uniquely powerful AI recognition technology of docBrain by Moonoia, the robotic process automation of Contextor and the mobile transaction app Shoot and Prove. KAPTAIN provides AI-powered document capture optimized for individual use at one end – through a mobile app – processed via a Deep Neural Network for recognition, classification and allows enterprise-level automation at the other end – through Robotic Business Process. This intelligent – mobile – automated solution meets all the requirements from high demanding organizations, combing ease of use, customization, full transparency and security for customers, on one hand, and cost efficiency, speed, high accuracy and compliance for providers on the other hand. Moonoia is the creator of docBrain, AI-powered technology and platform for handwriting and recognition and data extraction, as well as the provider of business process outsourcing services for document-driven organizations looking to accelerate their digital transformation. Moonoia excels in processing unstructured content, particularly the most difficult kind of content such as cursive non-constrained handwriting, low quality images or deteriorated paper. Contextor is a Robotic Process Automation pioneer since 2000. It equipped dozens of large companies worldwide with about 100,000 RPA bots that improve the efficiency of their business processes, for back-office and front-office in banking, financial services, insurance, telecoms, utilities, energy, public services etc. Contextor is aiming to seamlessly introduce Artificial Intelligence technology in its customer’s day-to-day operations. Shoot & Prove is a cross-platform, mobile application based on the principle of the instant messaging system via Internet. At any time, a Shoot & Prove user may receive a request for information on its smartphone from a third party. By executing the request step by step, it allows the individual user to capture documents, validate a transaction or sign a document and produce an electronic original result that will be sent automatically to the requester. 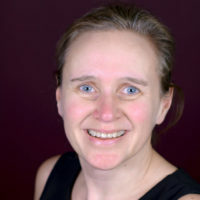 Company name: Shoot & Prove S.A.
Myriam Broeders has a passion for empowering people and organizations with technology. 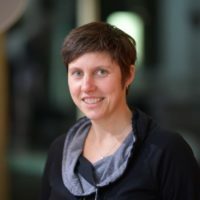 She has influenced many technology decisions & projects, in a career of already more than 20 years in IT. It is her mission, together with of team of technology advisors, to provide guidance for digital transformations and successful digital journeys. Tim is co-founder and CTO of Robovision. 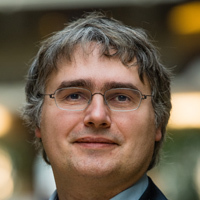 In 2009 he obtained a Master degree in Computer Science Engineering at Ghent University applying machine learning in robotic behavior research. Afterwards, in 2013 he completed a PhD at the Reservoir Lab of Ghent University, building new machine learning approaches where neural networks and reinforcement learning algorithms were investigated and applied on advanced robot and control tasks. In his spare time, he is a hardware enthusiast and Dwengo member. We are creating TIMi. TIMi is a software solution that covers all the analytical needs of any organizations, from the most basic needs (such as data collection, creation of KPIs and dashboards) to the creation of high precision predictive models and Big Data. TIMi eliminates the sufferings typically associated with analytical systems and replaces them with a responsive, interactive, visual, user-friendly and self-service interface (with or without code). Exploring your data has never been so easy and fun! With TIMi, companies can capitalize on their data to develop new ideas, make critical business decisions faster and easier than ever (« TIMi: Faster Predictions, Better Decisions »). Our mission is to: « Provide our customers with user-friendly, fast and productive tools for predictive analytics, BI and Big Data to solve real business problems in days, not months. » « To boldly go where no dataminer has gone before ». 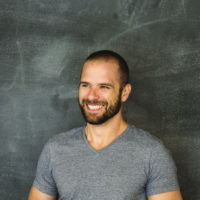 Thomas Van Durme is a computer science/aerospace engineer, entrepreneur and founder of ThinkNexT. 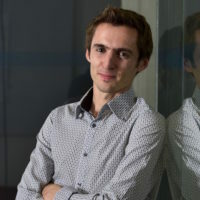 Thomas has a master in engineering specialised in Computer Sciences, Artificial Intelligence (AI) and Electronics as well as a master in Space Technology and Applications. Following graduation, Thomas started working at the European Space Agency (ESA) on AI in the field of mission control systems. In 2011 he co-founded ThinkNexT. ThinkNexT specialises AI applications and prediction applications in the customer service domain with its cornerstone product Orion. Orion is an AI platform enabling enterprises to take automated action on customer questions. Over the past years ThinkNexT carried out projects in the field of utilities, aviation and healthcare. Among others, their clients include Eneco Belgium, the University of Maastricht and the U.S. Air Force. At ThinkNexT we believe in challenging the status quo to simplify business. We do this with pragmatic thinking and using state-of-the-art technology. That is why we have developed Orion, an Artificial Intelligence engine, that automates customer service processes and plugs in on top of the existing CRM system. Orion is based on 6 years of experience in this field, at Eneco Belgium for example where the applications built by ThinkNexT support the daily interactions with 300 000 existing and new customers. icity.brussels is a technology hub focused on research, development, innovation for society. We help Brussels emerge as the ICT Heart of Europe. Funded by the ERDF and Innoviris and as a joint initiative of ULB, VUB and SIRRIS, icity.brussels is entirely devoted to strengthening Research and Innovation in Information and Communication Technologies (ICT) in Brussels. It has already launched R&D ICT projects in several key domains like education, e-Health, mobility, Internet of Things or 5G.